Written and DM by Emma Canady. If you’re wondering what I’ve done with my Sunday, it was eating a healthy kale salad, smiling politely at the customers who came into JC Video, and productively finishing my homework. AKA: eating nearly half a pizza, accidentally groaning out loud when a customer asked if I was sure about not having some Seth Rogan movie in stock, and, most importantly, binge watching Aziz Ansari’s new Netflix show “Master of None”. The ten-episode series popped up on Netflix on November 6 of this year. Now that the first half of the month is gone, we have passed what I consider to be the “Spoiler Bubble”; meaning, of course, the spoilers in this article can’t be considered me spoiling the show. That being said, if you haven’t watched the show yet, please go. 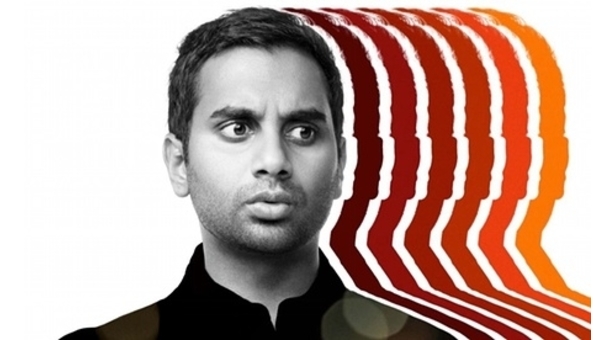 Aziz Ansari continues to be as hilarious as you remember, except this time as the star of his own romantic comedy show. Ansari, who you probably know as the funny Tom Haverford from “Parks and Recreation”, absolutely slays his role as Dev, a Brooklynite who is as desperate for a good acting role as he is for a good taco. Dev’s struggles consist of dating in the 21st century, relating to his parents, racism in the acting world, and understanding those around him through the lens of generational gaps and gender differences. “Master of None” offers something very unique to the entertainment series world: honesty. Ansari and team approach very social issues in an honest way. Even though the topics (such as First Generations taking their parents’ struggles for granted, “retirement homes” sometimes being like cages for older people, or racism and type-casting for actors) are not ones we usually see talked about in a comedy show, each episode focuses on a different important topic. It’s incredibly refreshing to see women speak honestly of the dangers they face and watch as the lead of the show realizes that he, as a man, has been disregarding women’s experiences in lieu of his own comfort; it’s wonderful watching a show point out examples of brown face on TV and movies and say, “This is screwed up! Why do people allow this?”. My favorite thing about the show is the way they pair this honesty with quick-timed jokes and a witty humor. The show is incredibly dialogue-based and the jokes are always right on, half a second faster than you would have thought to put them. In a way that is unique to a lot of network shows right now, Ansari’s show is really good.